In just the second time in its last eight games, the Catholic University of America’s baseball team came out on top and picked up a victory. The Cardinals jumped out to a significant lead with a long 4th inning, and it was enough to knock off the Bison of Gallaudet University by a score of 7-1 in a 9 inning game. With the win, CUA evens up their home record at Robert J. Talbot field to 3-3, and their overall record now stands at 9-11. The Bison fell to 4-18 with the loss. It is a victory the Cards hope to build some momentum off of heading into an important Landmark Conference series against Scranton this weekend, April 2-3rd. In the 9 inning affair, the home team sent 15 different batters to the plate to face Gallaudet’s pitching. Catholic’s bats produced 10 hits in the contest, and the offense benefited from five Gallaudet errors that kept innings alive. The bottom half of the lineup made their mark and were responsible for 7 of the team’s hits. First and second basemen Brennan Cotter and Andrew Stewart both knocked two hits and combined to score three runs, while freshman shortstop Ryan Tracy had 2 RBIs on two hits of his own as well. CUA walked just three times against the five pitchers that took the mound for the Bison, but it only took one big inning to take control of the game. After an error by the Bison, and consecutive hits from Cotter and Stewart, the Cards threatened to widen the one-run lead they had. 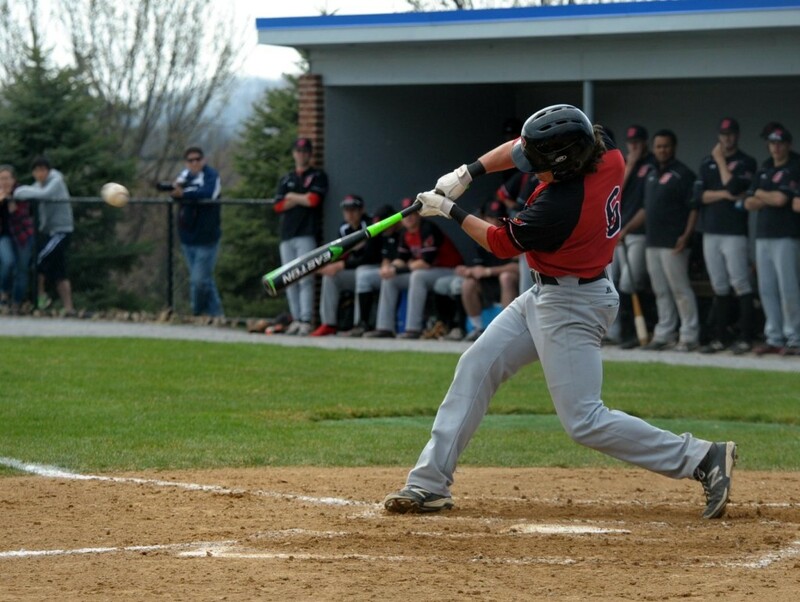 With the bases loaded later in the frame, sophomore designated hitter Jake Crist broke the game open with a bases clearing double down the left field line in the Cards’ 6 run fourth inning. The left-handed 3-hitter slapped the ball just to the right of the freshly spray-painted white line in left field to bring in Stefan Poggioli, John Palladino, and Tracy. Crist now leads the team with 26 hits and boasts a .394 batting average. All three of the runs were unearned for Gallaudet’s left-handed pitcher Ian Evans, as his defense threw the ball around the field and committed 3 errors in the bottom half of the fourth. Credit is still due to the Cards, however, as the team put pressure on the defense and recorded five hits on their way to a six run inning to extend their lead to 7-0. Freshman cleanup hitter Bailey Lewis led off the frame by reaching on an error and had the unfortunate fate to also end the inning with a groundout. The long midweek contest allowed head coach Ross Natoli put plenty of pitchers to work as well. Eight different pitchers toed the rubber to throw for the Cards, and none of them pitched more than two innings. The starter, freshman Collin Brown, went the distance to pitch two perfect innings. Brown retired as many batters as he faced, and struck out two in the process. The effort was enough for Natoli, who went to fellow freshman Mason Belcher to pitch the third frame. The collective perfect game bid was quickly lost as Belcher gave up a single to the first batter who stepped into the box, but the righty worked his way out of a jam to strand runners on first and third in the top of the third. Catholic had the first runner cross home plate in the bottom half. Stewart turned his first single of the day into a double after Gallaudet’s right fielder bobbled the ball in right center. Senior third basemen Kevin Nader followed with an impressive bunt that escaped all charging infielders for another hit. Tracy delivered the third consecutive hit with a hard grounder back up the middle that found its way into center field to score Stewart. The Cardinals went on to strand two runners, but the lead was taken. The Bison experienced no familiarity with their opponents on the mound as a different pitcher took the ball each inning. They got their lone run across in the top of the fifth with the help of a couple errors by Catholic, but it was the only response Gallaudet could muster. Senior Josh Martin was on the mound as the unearned run crossed home plate, but he recorded a strike out to end the threat and leave two stranded on the base path. In total, the Cardinals’ deep pitching staff sent eight batters back to their dugout with strikeouts. With a recent season-long injury to pitcher David Gately on the minds of the Cards’ coaching staff, the long rotation of arms was probably a test to see who they can trust to pitch in important conference games. Gately, a sophomore starter who had an impressive 2.08 ERA in 13 innings of work, will be watching from the dugout for the rest of the year after Tommy John surgery. He hopes to be back next year around this time to pitch again for Catholic. Neither team put any more runs on the board in the remaining innings, and CUA cruised to a 7-1 victory over its fellow DC university. The team is back in action tomorrow, April 2nd, for a series against the Royals of Scranton in the Electric City. The doubleheader on the 2nd begins at 1 PM, followed by a noon game the next day to wrap up the three game visit.